Chaos Created is pleased to announce that our new KS2 commissions for TES are now live. 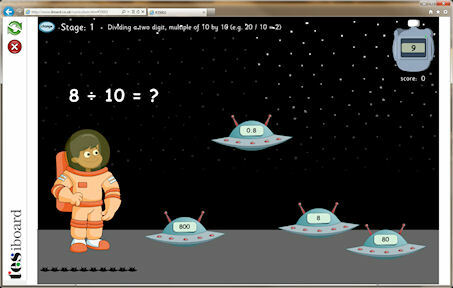 There are two new space themed games helping KS2 pupils with addition, subtraction, multiplication and division. Rocket Launcher helps teach numeracy by asking pupils to perform quick calculations, inputting answers on a calculator and collecting fuel cans to launch a space rocket. 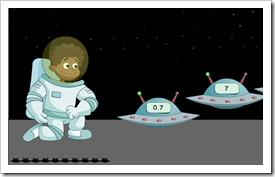 Saucer Rescue is a quick-fire game where pupils need to select the correct answer from a collection of flying saucers. Each game can be played with a variety of question types (e.g. Divide to 10 Times Table, Addition Integers, Decimal Addition) and each version of the activity features multiple stages that the pupil can progress up through. These games are available now from the KS2 section of the TES Resources site.